Many have been quick to declare this the dawn of a neurological and emotional crisis, but solid science on the subject is surprisingly hard to come by. 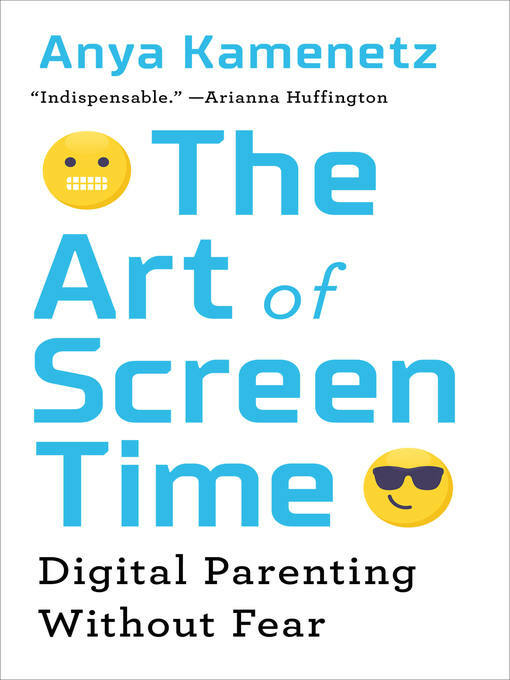 In The Art of Screen Time, Anya Kamenetz—an expert on education and technology, as well as a mother of two young children—takes a refreshingly practical look at the subject. Surveying hundreds of fellow parents on their practices and ideas, and cutting through a thicket of inconclusive studies and overblown claims, she hones a simple message, a riff on Michael Pollan's well-known "food rules": Enjoy Screens. Not too much. Mostly with others. Advice for parents on how to deal with the intrusion of digital media into family life.What does it mean that children today spend more of their waking hours on electronic media than on any other activity, including school? NPR lead digital education correspondent Kamenetz (The Test: Why Our Schools Are Obsessed with Standardized Testing--But You Don't Have to Be, 2015, etc.) has done her homework, examining the research on this issue and weighing the evidence pro and con. Unfortunately, the experts have little conclusive data to provide when they look at the possible effects of digital media on aggression, depression, ADHD, and poor performance in school and on standardized tests. Obesity and sleep disorders are the two major problems generally associated with screen time. After reporting on what various experts have discovered (or not), the author turns to parents who have dealt directly with this issue, discussing their rules regarding their children's use of technology. Again, the answers vary in usefulness, but parents reading these stories may find some approaches to adopt as their own. Many readers may choose to skim all but the final chapter, in which the author--who admits "no judgment" if "you don't have any time to read the rest of this book"--gives a 10-point summary of what a parent needs to know. A major point is that sleep and screen time don't mix, which leads to the rule to allow no devices up to an hour before bedtime. Parents will also find advice about engaging with their children on digital media by talking to them about what they are seeing, who they are connecting with on social networks, or even learning to play a video game with them. 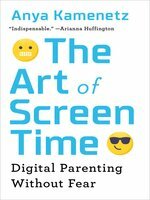 Ultimately, Kamenetz adapts Michael Pollan's advice about food to screen time: "Enjoy screens; not too much; mostly together. "Enough material for a solid magazine piece, stretched out to fill a book. Skip to the last chapter.